THE DEVICE OF THE FUTURE! Available in different styles that suit your style best. Ergonomic design, secure fit, no troublesome wires from tangling or around your neck. 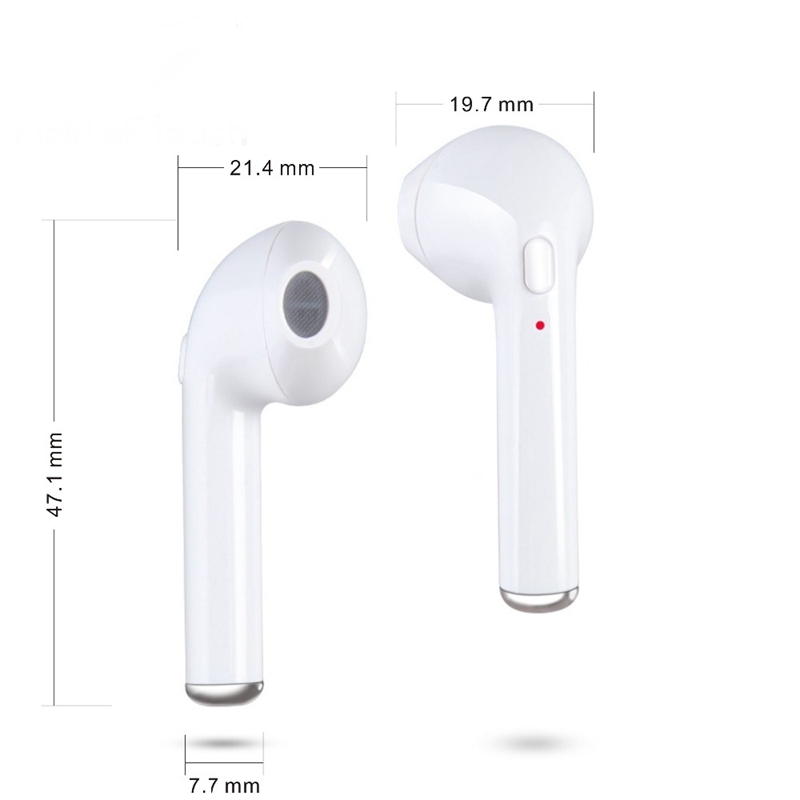 Super mini earbud, ultra lightweight, only 10g, start to enjoy your wireless life with this new Bluetooth headphone. Bluetooth V4.1 Wireless Technology. It can connect to different devices simultaneously, would connect automatically with a phone paired previously. Ergonomically shaped mini earbuds provide a long time comfortable wearing. With built-in Mic, great for hands-free calling, listening to music, news, etc., connect seamlessly with all Bluetooth enabled devices up to 30 feet away. The new and improved lithium polymer battery allows seamless enjoyment of music for up to 4 hours on a single charge and 80 hours of standby, only take 1.5 hours to fully charged, battery status displayed on IOS device. Compatible with most Bluetooth enabled devices, such as Apple iPhone, Android Samsung, etc., pairing up just take a few seconds. بائع جيد وسريع..اوصي..شكرآ على الهديه..
Товар шёл 2 недели, продавцу большое спасибо. Гаджет очень классный. Come Vietnam in 17days, well packaged but 1 headset still have trouble in transit. Contact with seller get very quick feedbacks and solved the problem in a morning. Very nice attitude. Highly recommend. calidad precio inmejorable, son más grandes por ponerle una pega. Excelente vendedor. El artículo muy bueno. Muy rápido.